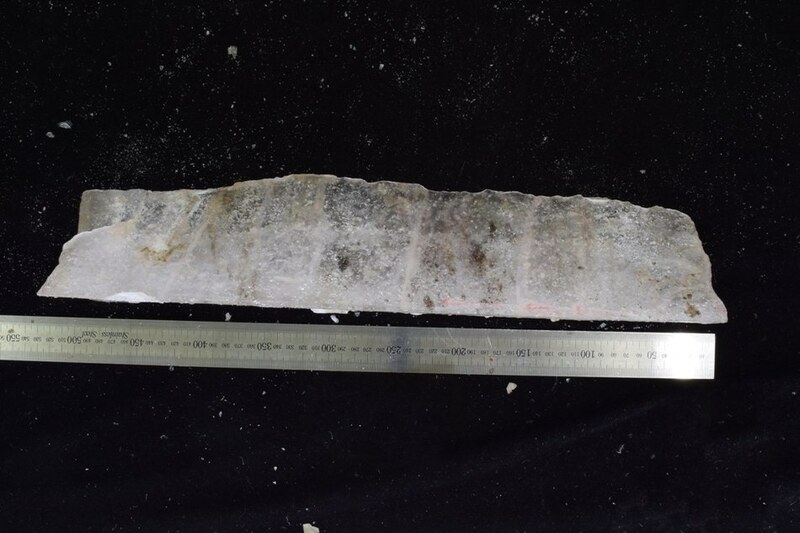 Hokkaido University scientists and colleagues have discovered that the Beaufort Sea, on the margin of the Arctic Ocean, was not totally frozen over during the coldest summers of the late Ice Age, about 12,800 years ago. Their methodology, using ice wedges from the Alaskan permafrost, could help researchers further recreate historic sea-ice conditions in the Arctic Ocean, and thereby enhance forecasts for the future. Researchers have long explored ice core samples from large permanent ice masses in the Antarctic ice sheet around the South Pole, and in Greenland near the North Pole. These samples comprise of relics from climate’s distant past, such as volcanic ash ions, sea salts, dust particles, and air bubbles, which can provide the information on how Earth’s climate has transformed over several thousands of years. Currently, a study team led by Yoshinori Iizuka of Hokkaido University’s Institute of Low Temperature Science has found a way to explore the geological history of regions near the north Arctic sea, which had formerly been tough using standard approaches. Permafrost is a layer of frozen ground that lies under the tundra of high northern latitudes in areas such as Canada, Russia, and Alaska. It comprises of huge wedges of ice that form when meltwater freezes in underground cracks. Iizuka and his team examined ion concentrations in an ice wedge sample taken from near the city of Barrow in northern Alaska. In 2010, another team dated this ice wedge back to belonging to the late Pleistocene era, which signifies the latter end of the last Ice Age about 14,400 to 11,400 years ago. The researchers analyzed the levels of several ions in the ice wedge, including calcium sulfate, chloride, sodium, and bromide. Markedly, they established that methanesulfonate (MS) ions in the wedge reliably specified marine life activity, as they originated from oxidized dimethyl sulfide, a compound formed by plankton and ice algae stuck to seasonal sea ice in the summer. MS ion concentrations were greater in the parts of the wedge signifying the coldest periods of the late Pleistocene, from 12,900 to 12,700 years ago. This shows that, even during these coldest times of the late Ice Age, the near-shore region of the Beaufort Sea near Barrow may not have been totally filled by permanent ice, and that some open water was present in this area during the summers. The team concludes in their research in the journal Earth and Planetary Science Letters that additionally studies MS, sodium, and bromide concentrations in other permafrost ice wedges could help researchers rebuild past Arctic sea-ice conditions. Understanding the mechanisms behind fluctuations in the Arctic sea ice provides a useful foundation for developing future strategies related to the Arctic region. Yoshinori Iizuka, Study Lead, Institute of Low Temperature Science, Hokkaido University.